Watermelon party at the irrigation well! This is my first post on a new blog, which I’ve decided to call High Shrink. I have a vague idea of filling this blog with posts containing offbeat bits and pieces of forgotten history and popular culture. I’ve been writing a Dallas history blog for several years, and I’m always just this side of verklempt whenever I come across interesting things I’d like to share but which have absolutely nothing to do with Dallas. So here we are. Sometimes it will be just a photo or image or ad or weird paragraph I’ve stumbled across — sometimes I’ll do some research and write a bit more. Yeah, this inaugural post is Texas-related (represent! ), but it’s miles away (at least geographically) from Dallas. So, baby steps. It’s just a way to ease beyond the Lone Star State slowly, like a deep sea diver ascending carefully to prevent a crippling case of the bends. 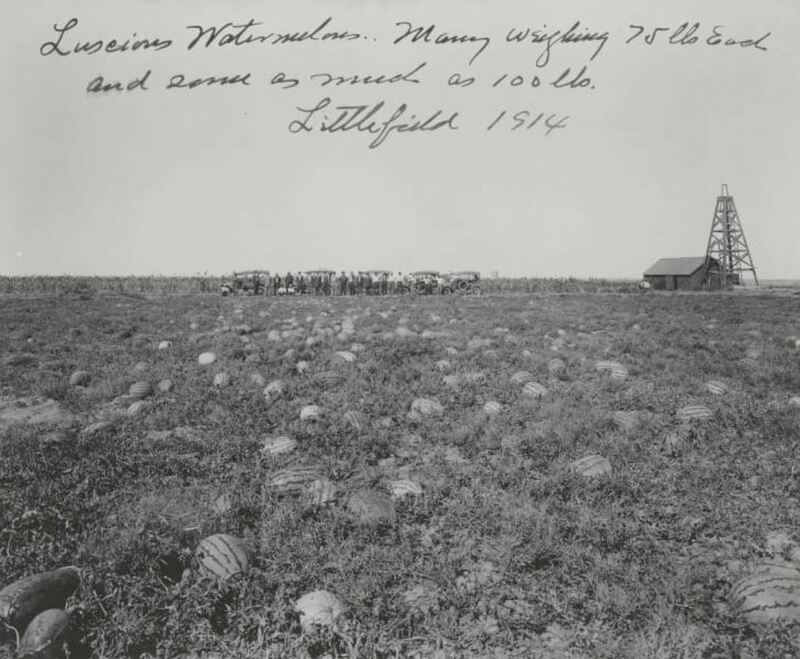 Above you’ll see a photo of fine folks enjoying watermelon in 1914, near Littlefield in Lamb County, Texas (just north of Lubbock). (See the top photo much larger here.) 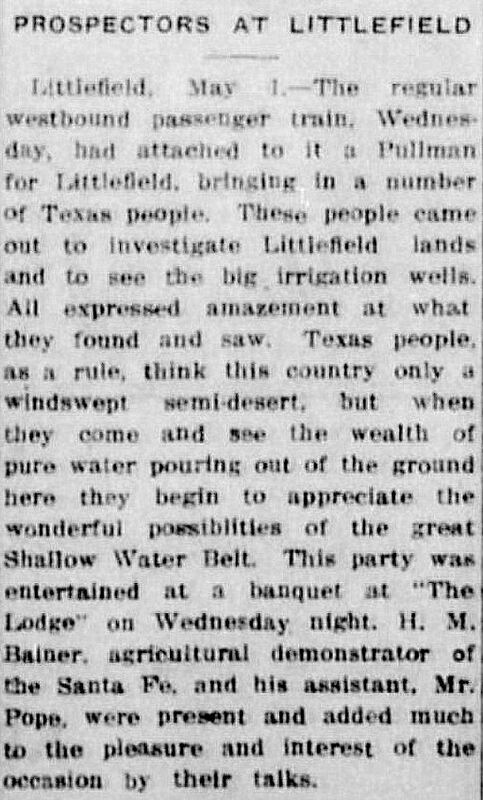 The folks are partying next to a successful irrigation well, which is the same well (I think) seen below. Potential settlers of the area needed to be assured that there was sufficient water to irrigate their fields, and potential investors in the growing town needed to be assured that there would be a local economy worth investing in. 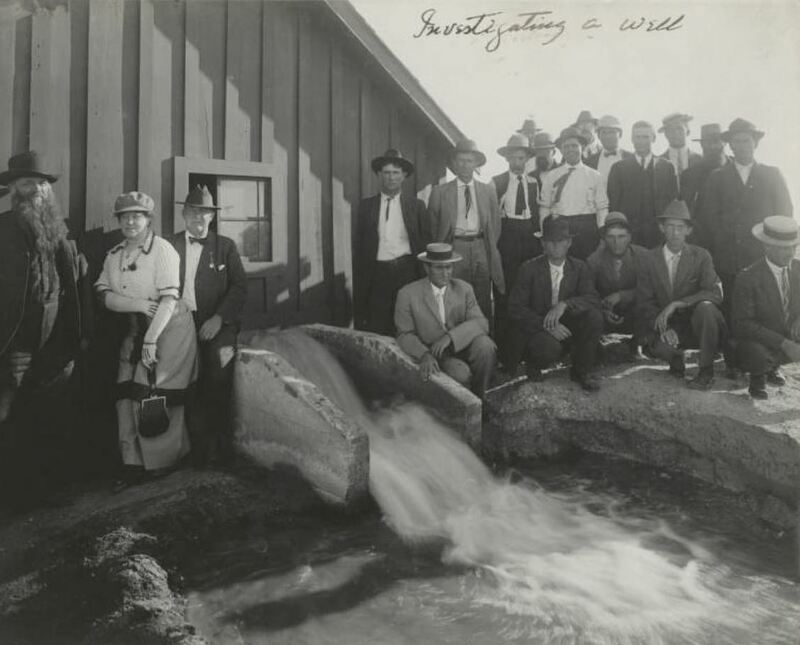 The success of the wells calmed the fears of both settlers and investors. (Click the article below to see a larger, somewhat blurry image. Photos from the George W. Cook Dallas/Texas Image Collection, DeGolyer Library, Central University Libraries, Southern Methodist University. 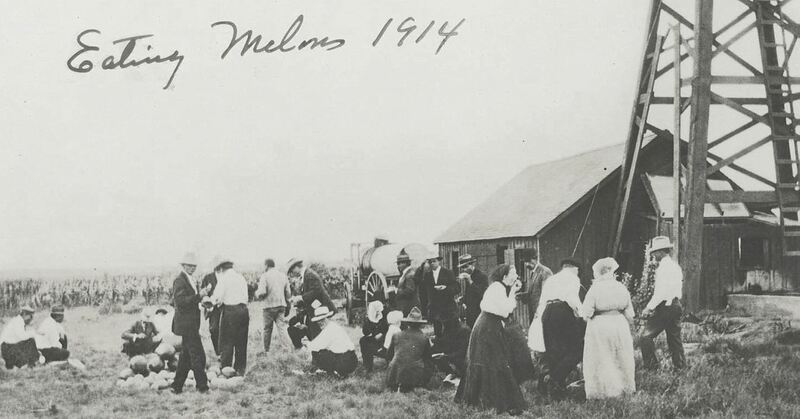 More info on these photos can be found at the SMU site: Eating Melons, here; Well at Littlefield, here; Investigating a Well, here; Luscious Watermelons, here. 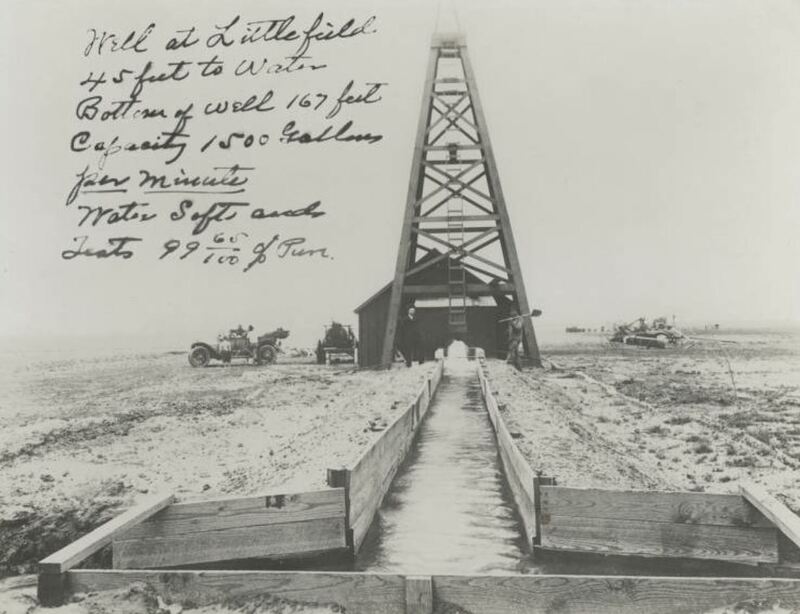 Additional photos of flat, flat Littlefield from this collection can be seen here. If the name “Littlefield, Texas” sounds familiar, you might be a fan of Outlaw Country Music: it was the hometown of Waylon Jennings. A Littlefield page on Wikipedia? Yes. This entry was posted in 1910s, Agriculture, USA: Texas and tagged Texas. Bookmark the permalink.